On December 20, 2013 my friend János Négyesy unexpectedly passed away. I first met János and his wife Päivikki Nykter in March of 2003 on Sonoma Square in Sonoma, California. He immediately scheduled my piece Exit for violin and live electronics on a concert in May of the same year and played it several times afterwards. I had the good fortune to meet and work with him on several occasions: in Hamburg, Lappeenranta, Budapest, Belfast and eventually San Diego. He stood out as a funny, witty, generous and loving person who enjoyed telling anecdotes about his collaborations with numerous famous people, but who was nonetheless open to working with young people and mavericks who hadn’t made into the limelight yet. 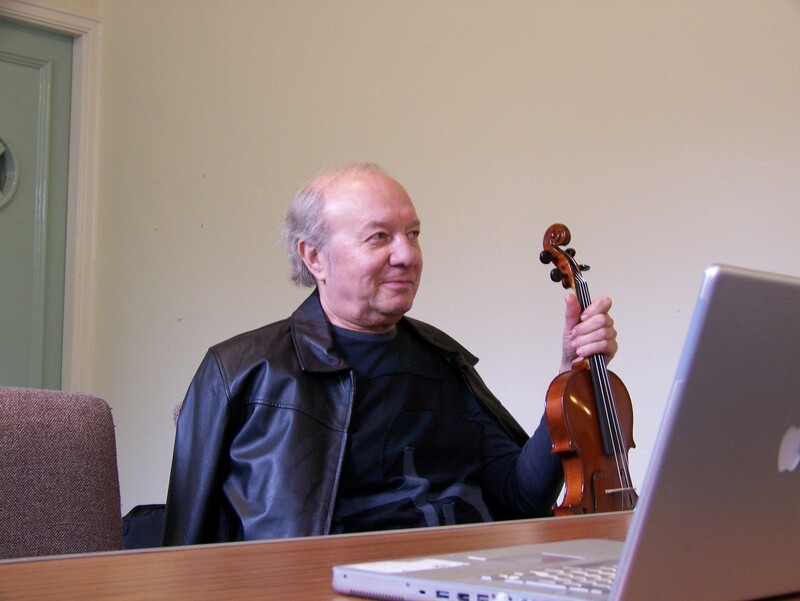 His knack for technology and technologically inclined people fostered the creation of countless pieces for one or several violins and electronics. Being also a gifted artist, he had regular exhibitions featuring his computer paintings. I was so impressed by his story of the events surrounding his premiere of the first two books of Cage’s Freeman Etudes that I based my piece Ivresse ’84 on the interview I had conducted with Päivikki and him Lappeenranta, Finland in April of 2007. On occasion of the sad news, I’m posting the content of the interview in its entirety on my website and I’m also including the link to a previous interview I conducted with them in June of 2006. A eulogy in German was recently published in MusikTexte. It can be accessed here.